Henry currently studies at the Royal Academy of Music with Mark Wildman. He recently left the Choir of St John’s College, Cambridge where he was a choral Scholar. Henry has been engaged extensively as an oratorio soloist. Past engagements include a one to a part Bach ‘St Matthew Passion’ with members of the Orchestra of the Age of Enlightenment, Vaughan Williams’ ‘Five Mystical Songs’ with Cambridge Choral Society, Liszt’s ‘Via Crucis’ with The Granta Group, Orff’s ‘Carmina Burana’ with Chepstow Choral Society, Brahms’ ‘Requiem’ with St Catherine’s College Choir and Mozart’s ‘Requiem’ with Bournemouth University Choral Society. He has also performed as a soloist in Mozart and Schubert Masses during his time with St John’s College Choir. 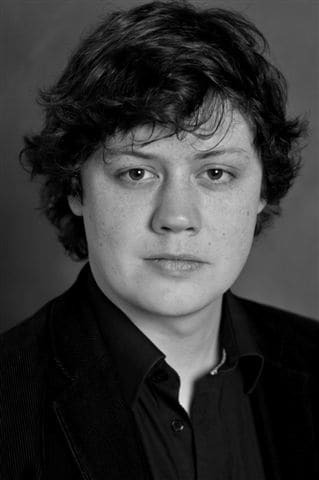 He was recently awarded the Michael Head Prize for a recital of English song at the Royal Academy of Music. During his time at university, Henry was heavily involved in student opera and performed roles such as Quince in an award winning production of Britten’s ‘A Midsummer Night’s Dream’ at the Edinburgh Festival and Figaro in Mozart’s ‘La Nozze di Figaro’ in Cambridge University Opera Society productions. This year he will be returning for his second season at Garsington Opera where he will be involved in their production of Rossini’s ‘Maometto II’ and Mozart’s ‘Die Entführung aus dem Serail’.